An ICO is an abbreviation for Initial Coin Offering. It is a crowd-funding method involving the sale of digital tokens to investors in exchange for tokens. The tokens are what we would refer to as shares in the normal fiat investment. Possession of token denotes taking part ownership of the company. These tokens are put up for sale in digital exchanges. Tokens are available to crypto investors through gains from predictions of successful projects. In a market where ICO’s are seeking the attention of potential investors and on the flip side, investors are seeking the right opportunities for stable and vibrant investments, the elements of stability and growth should be upheld. Investing in Initial Coin Offering (ICO) is in itself no different from engaging in gambling. The speculative nature of cryptocurrency means it’s a game of chance. It is, therefore, even more, appealing to opt for a token whose value is already attached to a given use. The risks associated with ICO investments don’t reduce when you buy gaming tokens. However, the investor has the added advantage of investing in a rapidly expanding industry. And blockchain solutions to gaming challenges will continue to be developed, further strengthening the sector. Opting to participate in an initial coin offering that specializes in the gaming industry accords you the opportunity to diversify your portfolio. Other than being able to use the token to access the game, investors directly affect the value of the token coin. The more the gamers interact with the game, the more they make it useful and valuable. With the advancement of gaming software, more and more developers are able to code games that support the world economy as gamers use cryptocurrencies or tokens for in-game purchases. These tokens are also tradable, earning holders profits. The native currency used to buy in-game assets is also useful when incentivizing players. The goal is to help encourage more gamers joining in and develop a loyalty order. Gaming tokens allow for the development of platforms that offer privacy. This is because you don’t need to provide identification documents, or in some cases, without the need to create an account. Here are some of the coin offerings that based their token on a game. Nitro is a blockchain based platform which allows participation in video game economy. It connects stakeholders onto an integrated platform. Stakeholders include gamers, game studios, publishers, and financiers. 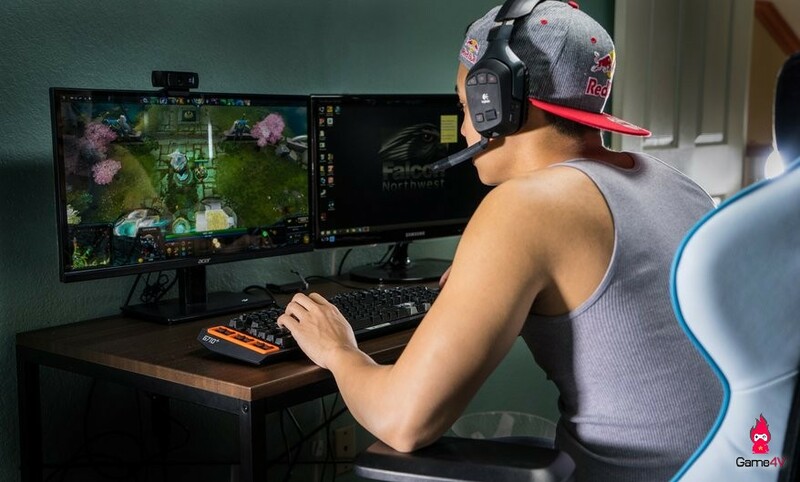 The gamers, who are usually laymen, are offered the opportunity to become financers by participating in the game economy through getting an in-game incentive engagement and ultimately get rewards from the industry as token holders. This is among the pioneers of the game in cryptocurrencies having been in existence for over three years. The game is played online. This platform has the ability to create and draw invoices while playing the games. To make a payment on the invoices generated, one has first to leave the game so as to access a web browser. This is very popular to the point of being called the “Ethereum of gaming.” The beauty of this gaming platform is that it provides users with the opportunity to exchange tokens with game assets. They can then turn the same assets into Enjin coins at will. In the future, players will access Plugins that help them have unique web-based experience with the game. The developers behind this game want to make it the leader in in-game asset liquidation. In this ICO program, the gamers are paid for spending time playing a game. The second way of making money is to create a host of nodes with the purpose of distributing revenue between developers of the games based on bidding mechanisms. The Oren team is ambitious and intends to take on Ads, Smart Contracts and a host of many other activities. This branched off from the GameCredits. It is created with the intention of helping users to bypass the huge fees that traditional App stores charge. This is achieved by a provision in the technology that allows choosing from a select group of games. It works both on a desktop or mobile. Players can install their games through this app store, and payments for games are made via the Ethereum token. Game developers stand to gain as they earn more. Token holders – these receive a passive income from streaming from all game pools. Players – Receive tokens of their portion if they play and win the game. Game Creators – these receive rewards for facilitating and managing each game. The HEROcoin platform is decentralized. This is a betting platform that creates ERC20. It is a casino chip payment token with decentralized betting which bypasses legal regulations of the states involved. Unikoin Gold token helps gamers participate in eSports by betting. Users can then earn prizes from their winning bets. At the moment, Unikrn aims at becoming the best platform in the gaming industry. All the above have adopted sound strategies not to be caught in the rut. The gaming industry is one of the sectors that are set to witness a lot of growth related to blockchain-based platforms. The aim is to revolutionize the entire ecosystem, giving the user both privacy and security. And with a number of platforms like TRON coming up fast, the future looks bright for the gamers and those who wish to invest. Previous post: How SSL Certificate Can Help Small Online Business?